Find Sun Lakes AZ real estate actively listed for sale now. Looking for a Retirement Home with a Resort Lifestyle? 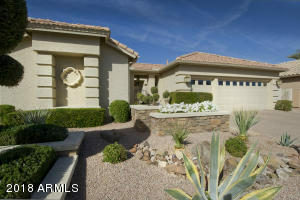 Sun Lakes AZ real estate is in demand with low inventory and high buyer demand. Snowbirds may have flown north for the cooler summer temperatures, but real estate is sizzling in Sun Lakes. Of the nearly 10,000 homes, only 68 are actively listed for sale today. Now is the time to set up a search and start watching the market for your home in this 55+ community located in the southeast valley of the Phoenix area. Sun Lakes, Arizona is an Active Adult Retirement Community with five neighborhoods. Sun Lakes Country Club was the first of the five communities built mostly in the 1970’s. 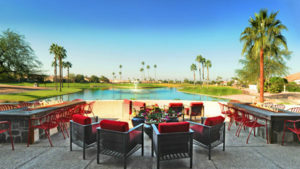 Cottonwood Country Club was the next community followed by the gated communities of Palo Verde, Ironwood and Oakwood. The last home to be built was in Oakwood in 2006. We can help you find the community that best fits your lifestyle and goals. Each community has its own amenities including golf courses, swimming pools, tennis and pickle ball courts, fitness center, restaurants, clubhouse, walking paths, lakes and so many clubs and organizations to fit any active adult lifestyle. See all Sun Lakes AZ real estate available now here. Are you Ready to Explore the Active Adult Lifestyle? Although Sun Lakes AZ real estate is in demand, don’t let that keep you from watching the market. It’s easy to sign up for new listing alerts so that you know immediately when something comes on the market that may be of interest. Or, you can call us at 480-440-0849 or contact us here to set up a custom search for you. Many of our clients enjoy watching the market until they are ready for a visit to the community. You will find The Kolb Team to be easy to work with, knowledgeable and no pressure! We look forward to hearing from you when you are ready to learn more about Sun Lakes AZ Real Estate! Call 480-440-0849!